Amanda Bates serves as the Director of Career Services and Professional Development at NC State’s College of Veterinary Medicine. In this role, she oversees and manages the delivery of career services to DVM students including the development of professional identity and goals. She also establishes, maintains and strengthens the partnerships between the CVM and employers in public and private practice. As a career services professional, Amanda offers perspective on career development strategies and helps students critically evaluate professional opportunities. Having been an entrepreneur, she also educates employers on how to effectively market and recruit young professionals. Prior to this role, Amanda’s career has included serving as founding director of a college access center in Richmond, VA, piloting a university career services program in Qatar, managing a digital platform focused on expatriation and teaching English as a second language in Cameroon. Amanda completed her Bachelor degrees in Political Science and Sociology at North Carolina State, a M.Ed in Counselor Education at Virginia Commonwealth University and a Master in Business Administration at the University of Mary Washington. Paul Edwards is the Career Services Coordinator at Michigan State University College of Veterinary Medicine. As the inaugural Career Coordinator at MSU CVM, Paul’s duties include working individually with students on various aspects of their career development, conducting career workshops and programs, creating and managing career resources, and working with veterinary employers and others in the veterinary community. Paul also enjoys being part of the broader MSU CVM team, and often participates in other CVM initiatives and programs. Prior to joining MSU CVM, Paul was Associate Director of Career Services at MSU College of Law for over 11 years. In addition to career services, Paul has served in a variety of roles in higher education, including attorney, student-athlete advisor, professor, communications coordinator, and grant writer. But career services is Paul’s professional passion, and combined with his love of animals makes working as Career Services Coordinator at MSU CVM a dream job. Paul earned a Master’s Degree in Higher, Adult, and Lifelong Education from Michigan State University, and a Juris Doctor from the University of Detroit Mercy. In his spare time, Paul enjoys activities with his daughter, trying to tire out his Basset Hound and Chocolate Lab, road cycling, and playing guitar. Randy Evans In 1989, Randy Evans joined Lincoln Memorial University (LMU) full-time as the Director of the Veterinary Technology Program while still working part-time at the Harrogate Hospital for Animals. Through the years, Dr. Evans has had more titles at LMU than a ’67 Buick. In 2003, he was named Chair of the Allied Health Department and in 2007, he became the Founding Dean of the School of Allied Health Sciences. From 1994-2010, Dr. Evans served as an Adjunct Instructor at the University of Tennessee College of Veterinary Medicine. In 2010, Dr. Evans began work on the establishment of the LMU College of Veterinary Medicine. His current role at the CVM is as the Associate Dean of Career Services and Professional Development. Randy loves to create opportunities for current students and alumni to obtain knowledge concerning veterinary careers and then to coach them through the process. Randy attended the University of Kentucky as an animal science major and he is a 1987 graduate of the Auburn University College of Veterinary Medicine. He has served on LMU Presidential and Vice-President for Academic Affairs Search Committees and he wrote the SACS-COC Substantive Change Prospectus which contributed to LMU being elevated from a Level 5 to Level 6 University. In 2000, he was awarded the LMU Houston Award for Excellence in Teaching. Randy is a Kentucky Colonel, a member of the Omicron Delta Kappa leadership honor society, a member of the Appalachian Regional Healthcare Board of Trustees, and a child ministry worker at a local church. He and his wife (Susan) share their home with three shelter cats (Zoey, Fuzzy, and Sprinkles) and a two year old cocker spaniel (Riley). Amanda Fark is the Director of the Office of Career Management at The Ohio State University College of Veterinary Medicine, a position she has held since the office’s inception in 2012. The Office of Career Management serves the needs of veterinary students, Ohio State alumni, and employers by providing personal career consultation and assisting with employment opportunities. Amanda leads the career management team in providing one-on-one career counseling for both students and alumni, develops and delivers a variety of career resources, meets with employers and alumni, and hosts career workshops and presentations. Amanda’s 14-year career in higher education has included various professional development roles working with student-athletes, business and legal professionals, and veterinarians. Prior to her position at Ohio State, Amanda was the Assistant Director of Professional Development at Capital University Law School where she provided career consultation and professional development advisement to students and alumni within the legal profession. A former student-athlete herself, Amanda started her career working in intercollegiate athletics and has served as a coach, administrator, academic advisor, and life skills coordinator at Indiana University, Ohio University, Loras College, and Elmhurst College. She received both her Master of Business Administration and Master of Sport Administration from Ohio University in 2008 and is currently pursuing her Certified Professional Career Coach accreditation. In her free time, Amanda enjoys spending time with family and friends, working out, being outdoors, and attending concerts. 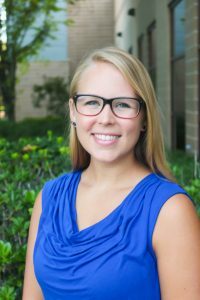 Katelyn Jerles: I currently serve as an Assistant Director for Career and Industry Engagement at the Career Resource Center at the University of Florida. In this position, I am the embedded liaison for the College of Veterinary Medicine splitting my time between main campus and the College of Veterinary Medicine. In this role, I work with students in career development while also connecting with employers. I am passionate about helping educate and create connections for UF students, faculty, staff, and employers while bringing together community in the higher education field. I enjoy collaborating with others across the veterinary career profession and within higher education to make the most effective impact for our students. Stith Keiser is the Chief Executive Officer for Blue Heron Consulting (BHC). His team of consultants strives to improve the lives of hospital owners, both new owners and seasoned veterans, and their team members, enhance client experience, build sustainable practice profitability and elevate the quality of care for pets. In addition to consulting, his passion for veterinary management extends into his role as managing partner in a handful of veterinary practices ranging from rural, mixed animal to multi-doctor small animal hospitals. In partnering with friends who are new owners hungering for practice ownership and wishing to build a lasting legacy, Stith allows them to achieve their goals through his role overseeing staff management, coaching and financial operations. Prior to his role at BHC, Stith was the founder and CEO of My Veterinary Career (MVC) which he sold to the American Animal Hospital Association in 2011 and managed until 2016. His industry experience includes facilitating workshops at national and state veterinary conferences as well as writing for Veterinary Team Brief and AAHA’s Trends Magazine. Stith also conducts career development-related workshops for student clubs and organizations at veterinary schools across the country. Most recently, Stith has been fortunate enough to collaborate on the development and delivery of professional development curriculum at several veterinary schools. 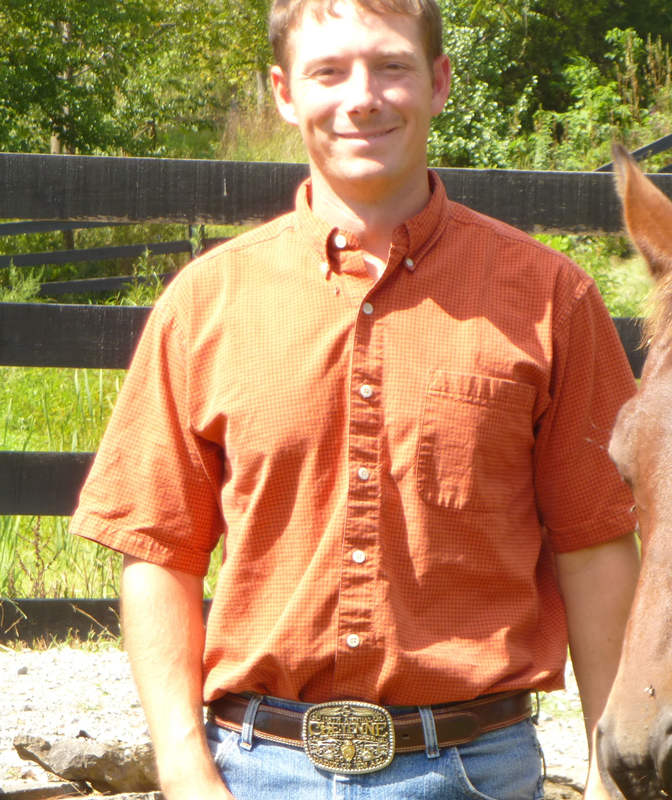 Beginning in the fall of 2016, he will be part of a team through Colorado State University College of Veterinary Medicine & Biomedical Sciences working under a federal grant to explore and design strategies for successful rural veterinary practice ownership. Stith’s volunteer experience includes membership in VetPartners where he serves as co-chair of the Career Development Special Interest Group, participation in Washington State University’s CVM “Diagnostic Challenge” and serving on several task forces for the AVMA’s Economic Committee. In his free time, Stith enjoys spending time with family and friends in the outdoors horseback riding, hiking and camping. 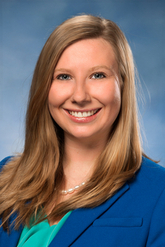 Kelsey Kerstetter has been working professionally in Career Services since July 2013. A graduate of Ohio Wesleyan University, her main passion is helping students find and pursue their professional and career goals. After serving as the President’s Office Intern at Ohio Wesleyan, she joined The Ohio State University College of Veterinary Medicine as a program assistant in the Career Management office. She was in charge of marketing materials for the office, building the website presence, planning career-related events for students, employers, and alumni, and implementing and managing an online job posting system. In April of 2015, Kelsey was promoted to Career Advisor within the office. Her primary duties now include serving as the career advisor for first year veterinary students, managing the online job posting board, building relationships with employers and alumni, presenting in the first year professional development curriculum, and coordinating on-campus events, including networking opportunities and on-campus interviewing. Kelsey has one cat, Minnie, and enjoys running, Zumba, and reading mystery novels. Janel Lang serves as the Director of the Career, Leadership and Wellness Center (CLaW) in the School of Veterinary Medicine. In the position, she is in charge of developing and executing a strategic plan to strengthen and expand career, leadership and wellness opportunities for DVM students. This also includes employer relations and overseeing initiatives to prepare students for success in a competitive, diverse job market. Janel is passionate about the field of veterinary medicine and committed to tailoring services to meet the needs of the students she serves. She and her staff live by the Center’s mission statement – Inspiring Students. Building Community. Enhancing Lives. Janel holds a Master’s Degree in Social Science, Career and Life Planning and a Bachelor of Arts in Applied Psychology with a minor in Communications. Previous to this position, she was the Senior Director of the Carson Center for Student Success within the College of Business at Washington State University. There she was instrumental in building and expanding the state-of-the-art student service Center. Prior to the Carson Center’s expansion, Janel designed the Scott and Linda Carson Center for Professional Development and worked as its Director for seven years. Janel’s diverse professional portfolio also includes starting a Telecounseling Center in an Office of Admissions, building a pilot Welfare-to-Work program, and acting as a supervisor for a Dislocated Mill Workers Program. Her additional skills include instructional design, marketing, and fundraising. Janel is passionate about helping students and committed to maximizing their opportunities for personal and professional growth and success. In her free time, she enjoys boating, traveling, and spending quality time with her family. Adrienne Marcus coordinates Career Services for the veterinary medicine program at Colorado State University. After graduating from CSU with a MEd in Education and Human Resource Studies, Adrienne taught high school social studies for ten years. She has been with the College of Veterinary Medicine and Biomedical Sciences since 2014. In her role as Career Services Coordinator, Adrienne primarily serves as the employer relations liaison. She truly enjoys this role, the students, and the field of veterinary medicine. Caryn Stivelman As PennVet’s Career Counselor, Caryn Stivelman is committed to fostering positive relationships with its VMD students by setting them on the right course for exploring career options, building strategies to reach their future goals (both professionally and personally), and making informed choices. Students will learn to articulate themselves effectively through resumes and cover letters, and present themselves confidently in job interviews. Since joining PennVet in July 2018, Caryn has developed and presented resume writing workshops and seminars in addition to critiquing resumes, personal statements and cover letters, and preparing students for interviews. The goal is to maximize a student's career potential by offering a variety of services and programming, and connect them to valuable resources through collaborations with alumni, employers, and community partners. Prior to joining PennVet, Caryn was employed at Penn Engineering, and previously, Penn Dental. She has extensive background in advising, career development, effective program creation and management, conducting seminars and workshops, and a driving interest to see students succeed. Caryn holds Masters Degrees in Bioethics and Higher Education Administration, both from the University of Pennsylvania. Leisurely activities includes card making, board games, music, and spending quality time with her husband, daughter, and parakeet.